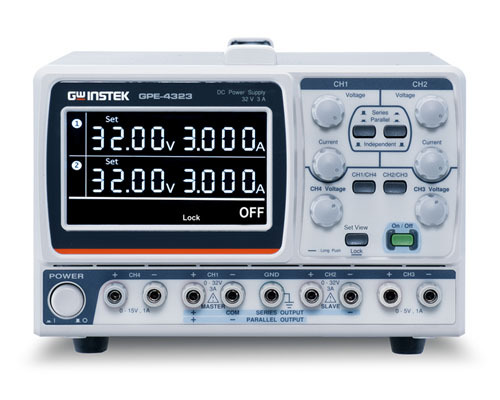 The GPE-X323 series features 10mV/1mA high resolution (for setting and read back). The series outputs a pure and stable power supply. Users can easily simulate small voltage or small current measurements for DUTs that is the area the conventional low resolution linear power supplies can't achieve.